Non-verbal Club Non-verbal Club - It's Over 9000! Our motivation comes from our many passions and at the centre of our practice is our concern for the ways in which language is made visible – through a careful, skilled and informed use of typography. We're unashamedly dedicated to it. We value intelligent and informed perspectives, which we support through an intensive process of research, strategy development and collaboration networks. This ensures that our response is unique to each challenge we are given. Every project we undertake is a dedicated balancing act – between craft and technology, between rationality and poetry, between expectation and surprise. Non–verbal, formerly known as Atelier Martino&Jaña, is recognized for its particular focus on designing for cultural clients. We've developed a vast knowledge and experience working for over 10 years on multi-faceted books, visual systems for graphic identities, and posters for music and theatre events.  On 2014, we’ve changed our name to Non-Verbal Club as a result of a redefinition of our work and an integration of our studio in a global position. We’ve kept the core of our team and we are still focused on working with cultural agents and institutions, thriving for broader perspectives, bigger challenges and a stronger international position. We’re very thankful for the opportunities we had to work with very special people over the years, particularly through the dedication of former partner Alejandra Jaña, the sheer talent and good friendship of former collaborators Oscar Maia, Filipe Cerqueira and Álvaro Martino, and the unforgettable creative energy brought by the many friends we’ve worked with. 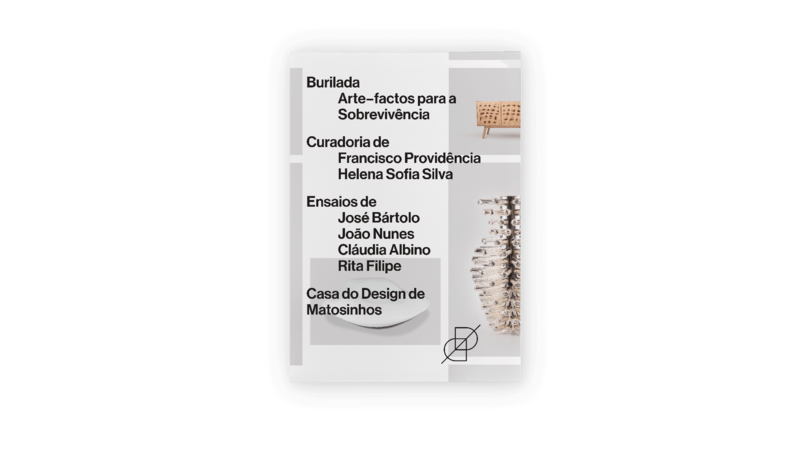 Curated by Francisco Providência and Helena Sofia Silva, Burilada is an exhibition about objects that are reconfiguring the contemporary material culture in Portugal, by merging design and traditional elements of craft – such as mediums, techniques and materials. It also was the opening exhibition for Casa do Design de Matosinhos, a home for an open and critical discussion of the portuguese design culture, mostly achieved through curatorial processes. We were commissioned to design both the identity for the gallery and its first catalogue. 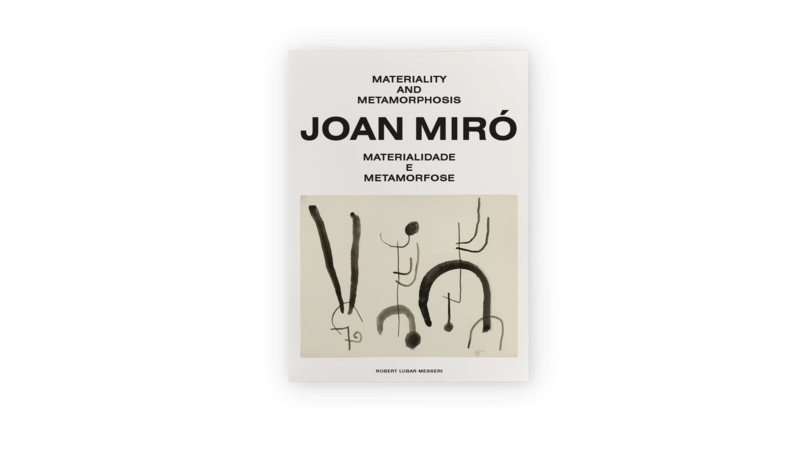 After a long decision process, the Joan Miró collection – owned by the Portuguese State – found a permanent home at the Serralves Museum of Contemporary Art, in Porto. 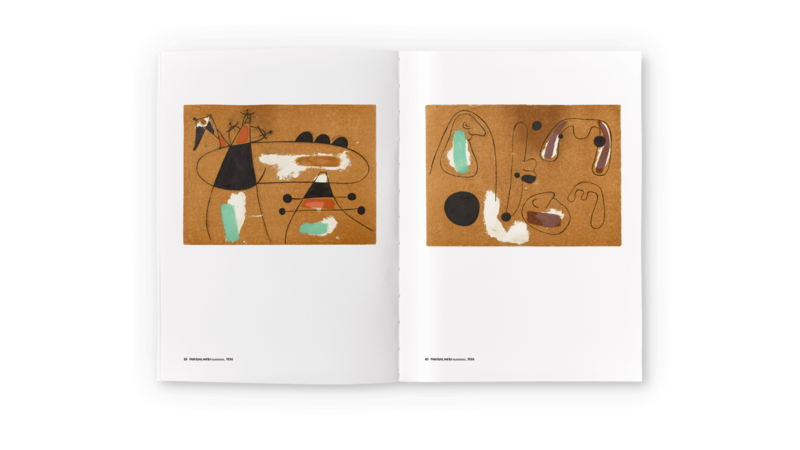 It contains roughly 80 works of the Catalan artist, mostly exploring processes of metamorphosis and transformations in Miró's language and mediums. We were asked to design a classic and low tone catalogue, and therefore went with a modernist approach and style to display the work of a modernist artist, focusing the design decisions on making room for the texts and images to be easily read and understood, providing a calm environment for the artwork to be displayed. After designing its newspaper, the exhibition catalogue presented itself as a very different challenge. It is a mixture of long academic essays and a highly diversified body of visual materials. We’ve decided to sequence them through interconnected sections in order to create an unified narrative, instead of separating all the texts from their image counterparts. The overall graphic tone of the book is straight, harsh and clear, but still managing to never become too bold throughout its 600+ pages. It aims to make the reader navigate through an active intellectual journey, providing different moods and challenges to generate a process of questioning regarding the current situation of the country, the lessons we can take from its history and past, and most important, the evident need for action and change in order to shape a better and fairer future. The essays are divided in three different blocks: 1. Social Problem; 2. Political Answer; 3. 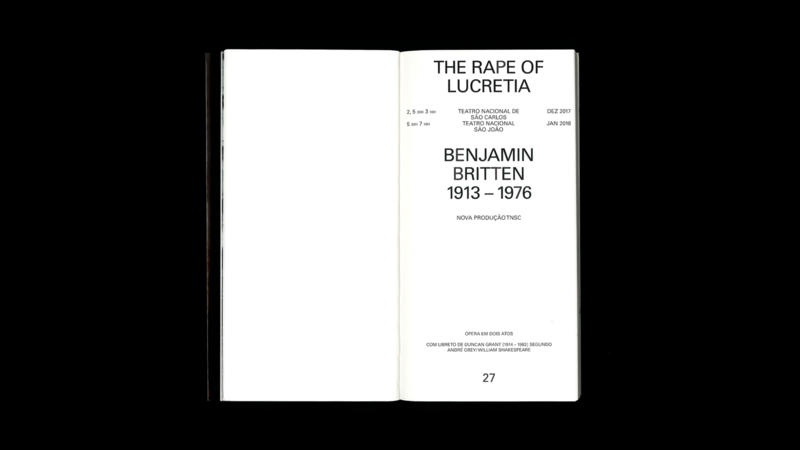 Cultural practice; and were treated with a twisted layout in which the usual text hierarchies are reversed – what one usually expects to be displayed in a serif typeface appears in a bold grotesk font, and the same happens the other way around – supported by text notes on top of the page and, occasionally, integrating related imagery. The image sections go through different moments: from the assembly of the exhibition; to an historic and iconographic timeline made with collected archive images and newspaper clips; a catalogue of the artwork on display through the exhibition; and finally a section of its disassembling. Our design premises for the communication of the Pavilion of Angola were centred on a strong sentiment of African invasion into an established european order. 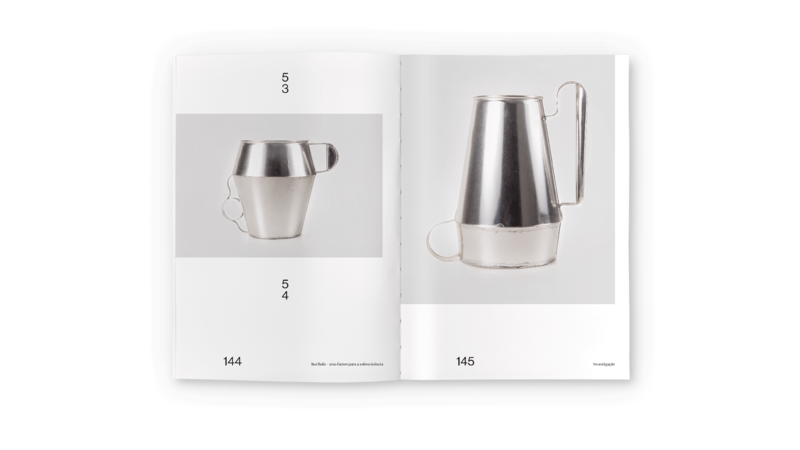 The catalogue’s structure was based on a different interpretation of the same approach. 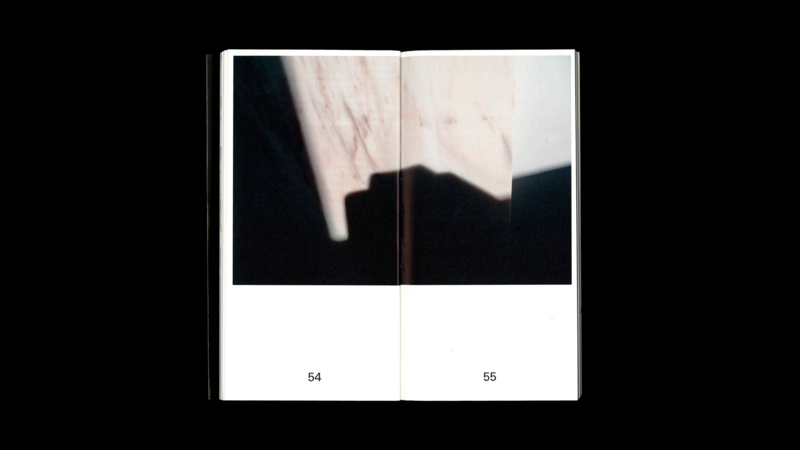 What is seen as a graphic interruption throughout the communication matrix was toned down and transformed into harsh cuts throughout the catalogue’s sequence, allowing the reader to percept changes in the catalogue's subjects, layout and even paper. 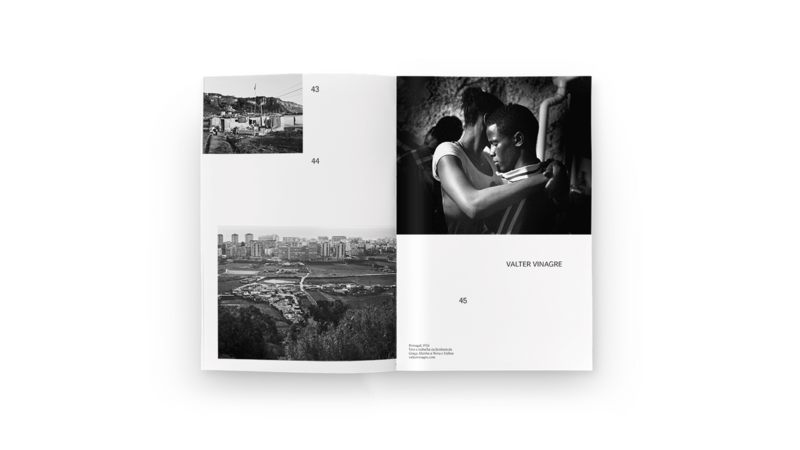 The whole sequence of the book was planned according to the narrative behind the curatorial choices for the exhibition – the passing of Antonio Ole’s legacy as a leading Angolan artist and culture agent to the new generations of emerging artists and agitators. 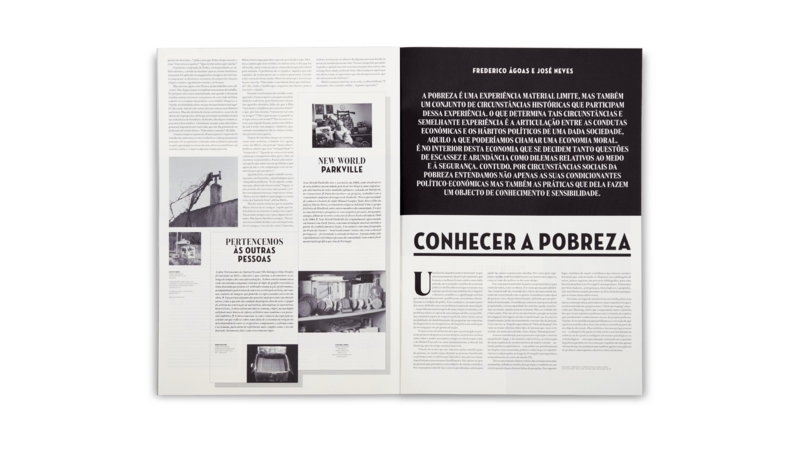 This exhibition proposed a deep and serious reflection on the social consequences of poverty derived from the ever-growing unequal economic policies implanted in Portugal, warning its visitors to the urgency of becoming alert and promoting actions against an unsustainable social structure. The newspaper we've designed to be offered to the exhibition visitors is a rather unique piece. 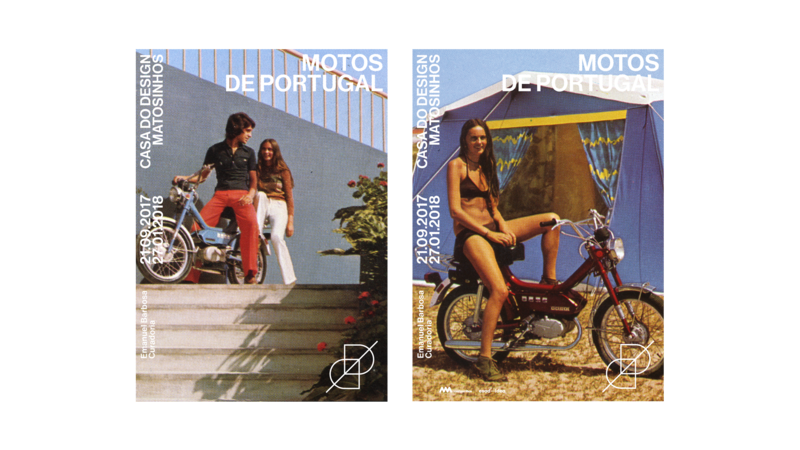 On one hand it is a mesh of contradictory graphic influences and styles from both the Portuguese dictatorial regime and the post-revolution period. On the other, it keeps a very harsh and monochromatic tone in order to reinforce the seriousness and urgency of the matters in discussion, and to mourn the economical and social situation the country has let itself into. More than resolving its information inconsistencies, this book confronted us with a higher challenge: the responsibility of addressing young people writing about the future. About their opinions and emotions, their hopes, fears and dreams. By drafting the history of the future, they were in fact expressing their personality and views on the contemporary world. This book is a testimony of the world voiced by the future expectations of its young generations, and one of the most surprising books we’ve designed. Guimarães 2012 commissioned us to design a piece for its opening event, contextualizing the institutional information and displaying the complete and detailed programme of events going on throughout the year. We've responded to the brief with a 250 page Japanese binding book divided in 2 main chapters, to accentuate the idea of 'work in progress'. 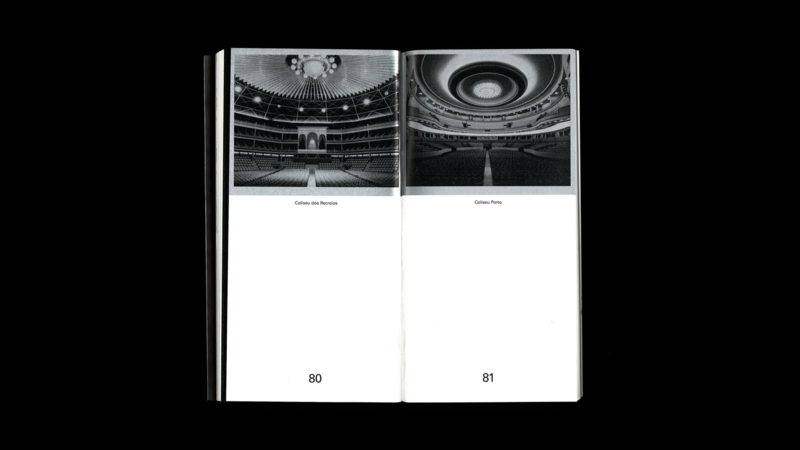 The first chapter – with an austere graphic look – works as an introduction to the European Capital of Culture, while the second – livelier and more energetic – presents a layout able to demonstrate a higher number of events and activities happening simultaneously. Read more about the project in the case studies section. 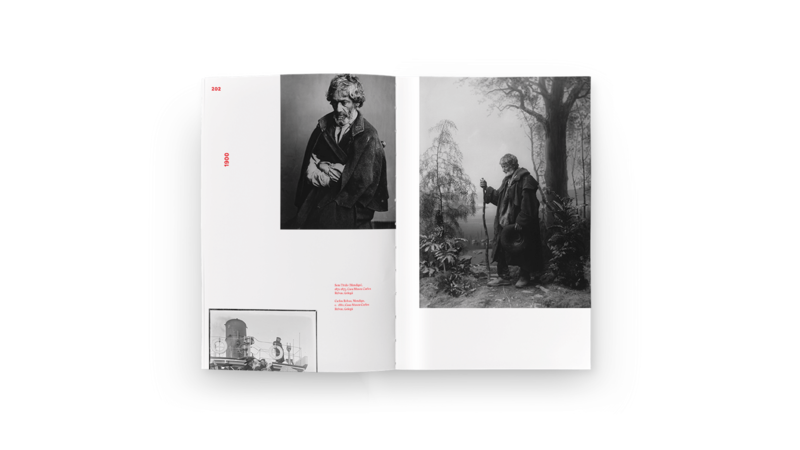 This magazine is the result of an exploratory exercise concerning alternative narratives in print. Format, paper and sequence were used as tools to allow different articles to be contaminated by each other, similarly to the hyperlinked structures the web brought into our reading habits. The articles become shuffled and eventually blend – united by the themes but separated by their format. 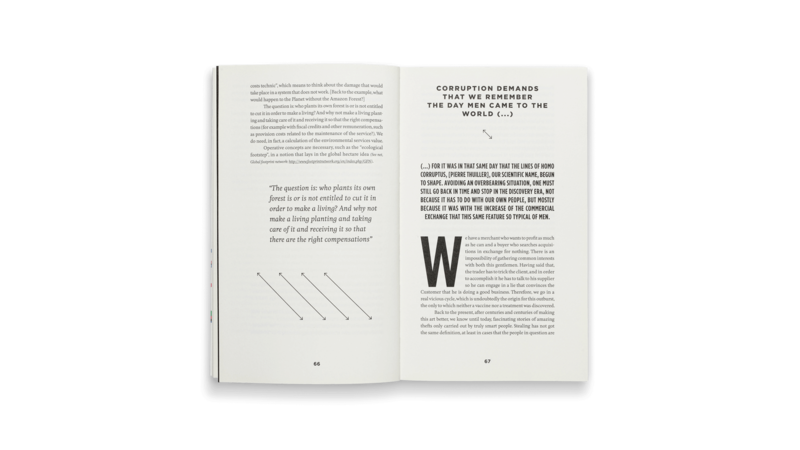 Our approach was similar when style is concerned, making it possible – by the turn of a page – for the reader to transform chaos into order, a magazine pagination into a book layout, zoom in to the photographic contents or change the magazine's graphic style according to the contents of the articles. 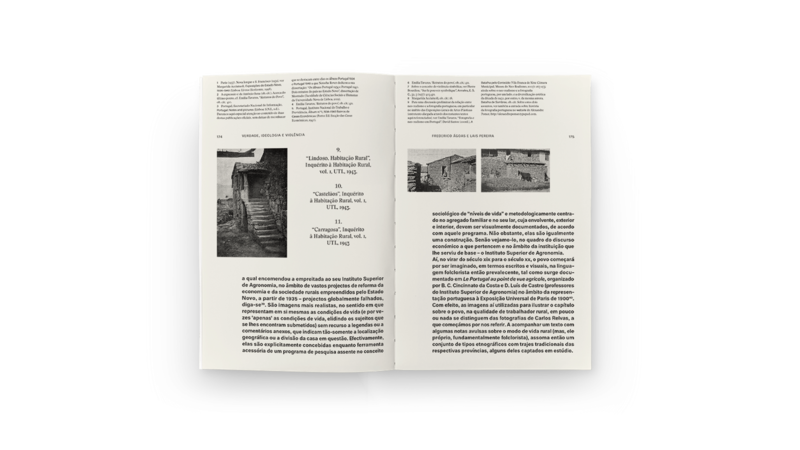 Um Pensamento de Pedra is a deep research on historical graves and tombstones of the northern regions of Portugal, published by the Guimarães 2012 European Capital of Culture. A serious and calm book, designed in a classic and comfortable way. Having a very limited budget to produce this book, the design accepted the terms surrounding the project, transforming its weaknesses into its strengths by carefully suiting the quiet graphic treatment to the sober tone of its contents. 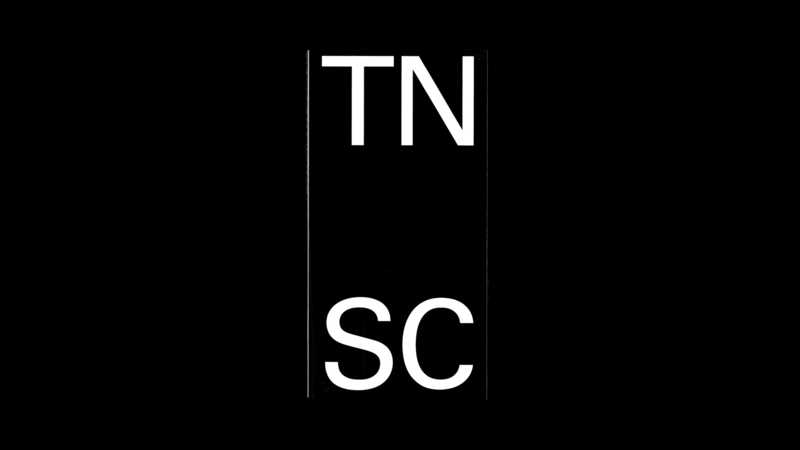 Novais Teixeira was a famous early twentieth century portuguese art critic, specialized in cinema. The challenge presented by this book was to create a biographic piece, crossing inspirations and technologies from the past and present. To achieve this goal we've developed a graphic approach resourcing to contemporary type compositions, fluorescent colours and a provocative binding, yet keeping the traditional book feeling. As far as technology is concerned, this is one of our first books where we've put to use a concept that we've baptised as “interactive printing”. Through intelligent image recognition, we were able to transport printed information into multimedia devices, transforming the book into the interface for both printed and multimedia contents. 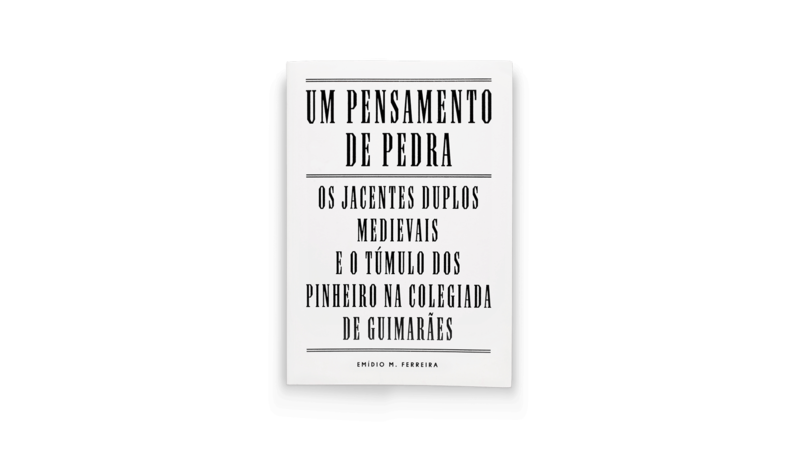 This book addresses the lives of 12 historical personalities from the city of Guimarães. That makes it a book about biographies, one that remarks the role of individual landmarks in collective history, and therefore, a special piece. We took inspiration from the singular character of those stories and designed from there. 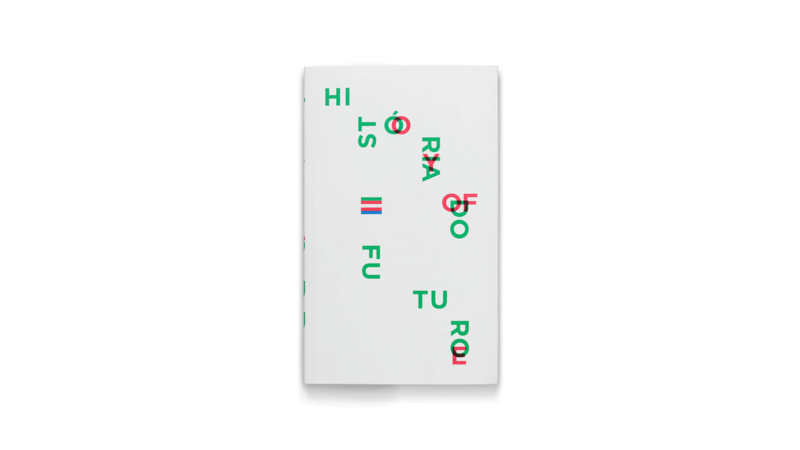 Visually, it is a false traditional book, in the way it displays an old style layout combined with a deviant fluorescent pink structure to display the notes. We’ve decided to make each book one of a kind by adding geometric compositions to the covers, directly made through the overlaying of silkscreen prints. For 1000 books there are 1000 different covers, and, in a way, 1000 different stories. The book is designed with no cover, so the reader can jump straight into its contents, and made of two different parts, glued together and converted into a single and miscellaneous object. 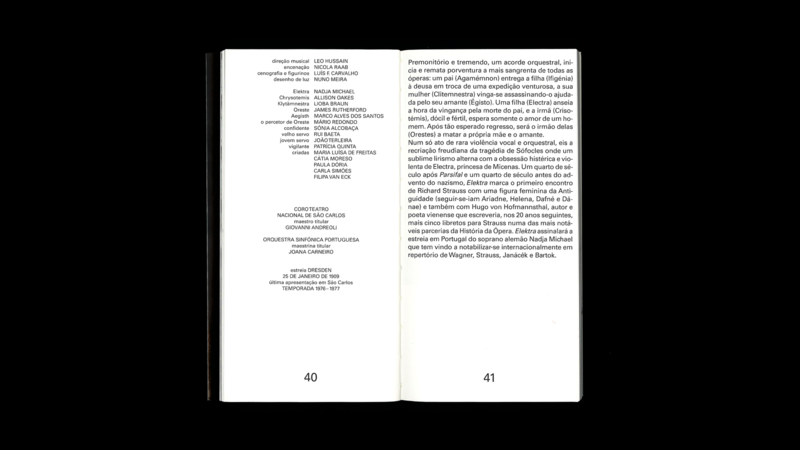 The first part contains an explanatory text regarding the festival, on a highly mechanic and typewritten style, keeping a constant play between highlighting and censuring information. The second presents the programme and further information regarding each artist / concert. In this part, there's a constant visual tension between display (gestual) and book (mechanic), neat & tidy vs blurry, typewriter vs halftone, full bleed vs balanced and white spaced. Jazz music is made out of tensions: between the musicians and the instruments, between the notes, the interpreters and the audience. That's what we want this book to feel like. Parallel to the identity system, we have also designed an exhibition programme in the format of a newspaper for the museum opening. Again, white space is fundamental, and the visual elements are set on a low tone. We have resourced to a calm tension between images and type set on white boxes to add some spacial depth to this format, without compromising its etherial and light feel. To celebrate the 20 years of the Guimarães Jazz festival, we were commissioned to design a retrospective book that would offer a review over what was achieved during that period of time, the crazy amount of brilliant artists that performed on those stages and the future expectations for the following years. We've focused on two core features: a structure able to layout both solid blocks of text and floating points of typography (such as in the titles and pull outs); and a very flexible grid for the images, making it possible to play on a high tone with big images, or provide faster rhythms with small images, playfully placed over large surfaces. In contrast to the posters we've designed for the 2009 festival, this newspaper is all about type perfection and layout control. We've created a classic revival object layed out with a bold structure and rigorous typography. Such strong pagination was softened with plenty of small details, revealing something new to the reader each time he/she decides to go through the object. The result is a classic editorial design piece that can certainly swing to some jazz grooves, and one of our most awarded projects. 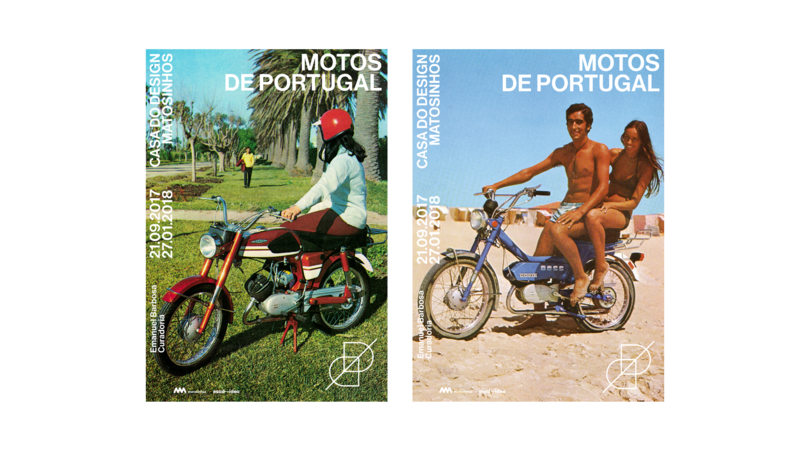 Casa do Design de Matosinhos is a design museum for exhibitions on the history and current state of Portuguese design . We were invited by esad—idea to design the museum's identity and to develop a visual language for its communication. We believed its look and feel should be fresh and provide opportunities for experimentation, reflecting the creativeness of its field practitioners. From the beginning we felt there was a need for an iconic mark that could act as a logo in its most traditional sense. We wanted it to have a timeless feel and to represent design as an exercise of projection. Using basic geometric shapes, we've intercepted two planes (the letters C & D) with a line, an axis that keeps it together and creates a feeling of depth. Having stabilised the institutional identity, we went on to develop the principles that compose Casa do Design's visual language. We didn't believe there was a need to have a heavily defined matrix, but rather a set of orientations that other designers could interpret and use in future iterations of its communication. 1. Every piece should be designed as an open canvas where space is going to be occupied with different elements – typography, imagery, solid blocks of color, white space – either by actions of construction, occupation, interruption or deconstruction. 2. Information is contained on different stripes set across each piece, creating differentiated hierarchies and reading moments. These stripes should be able to make the structures visible or invisible, change direction, overlap and even change styles. Cosmicode is a newborn app development company focused on projects for the web and mobile devices. 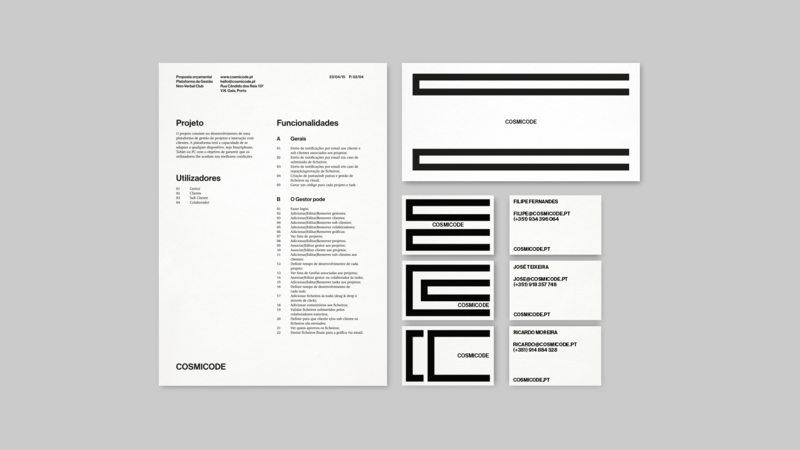 The identity we've designed for them consists of two "squarish" C's, heavily influenced by the aesthetics of retro games and tech. 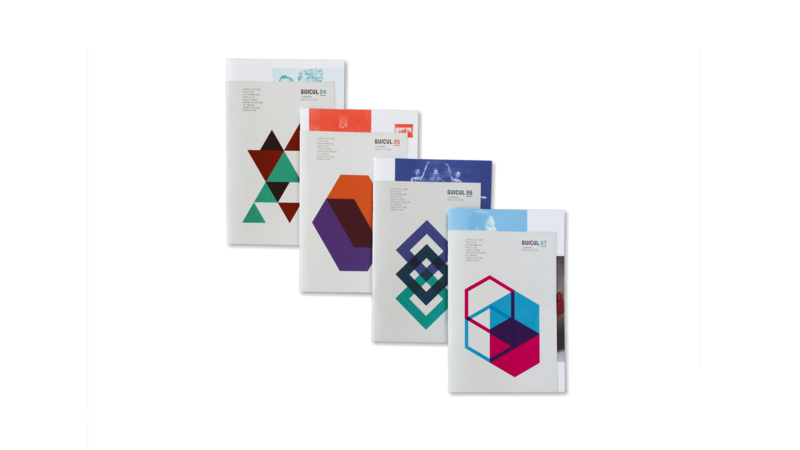 In the print world these shapes can grow and interact with each other in different ways, becoming more compact or loose, separated or intertwined in different situations. The digital world provides better opportunities for movement, and even then it can have either very fluid ir stop motion like animations. Overall this is a simple design project for a starting tech company. Time will surely provide the opportunity to further develop the visual language and principles started here. URSA is an artistic studio that combines photography and architecture in the creation of buildings and objects, images, films and texts. Their interests are focused on the pursuit of alternative processes of creation – leading to the production of critical matter and thought – rather than making pretty projects. The identity and website we've designed for URSA is based on two core principles: 1. ideas and 2. ways of connecting them. Hence, there isn't a static logo or a main version of it. There is a system in which each character of the word Ursa moves to a different position according to the format and media it is placed at, and that movement creates a line connecting it to the following character, ultimately forming a constellation like shape. final pieces of work. Click here to visit. Our design premises for the communication of the Pavilion of Angola at the 56th Venice Biennale were centered on a strong sentiment of African invasion into a well established European order. To illustrate those principles, we’ve created a very strict modernist basis in which we could set the information regarding the exhibition in a calm and controlled environment, and from there, we’d start interrupting and overlaying that rigid layout with graphic elements and symbols taken from Angolan traditional handcrafted textiles, adding warmth, strength and power to the various communication materials. CIAJG is an exhibition centre and a reflection platform on curating the contemporary art world. Looking for new ways to read the history of the arts, it places emerging artists side by side with traditional and popular works from different cultures. We have engaged with the design of the identity around the premises of layers, dimensions and links. Our intervention as designers and communicators should not try to translate the contents and themes of the exhibitions hosted by CIAJG into a graphic form, but rather to make room for the different artists and artwork to be potentiated by a visual structure. Its strength comes from its simplicity, in the way it allows content and curation to become protagonists. After the European Capital of Culture in 2012 “A Oficina” inherited new structures and venues to manage alongside CCVF. 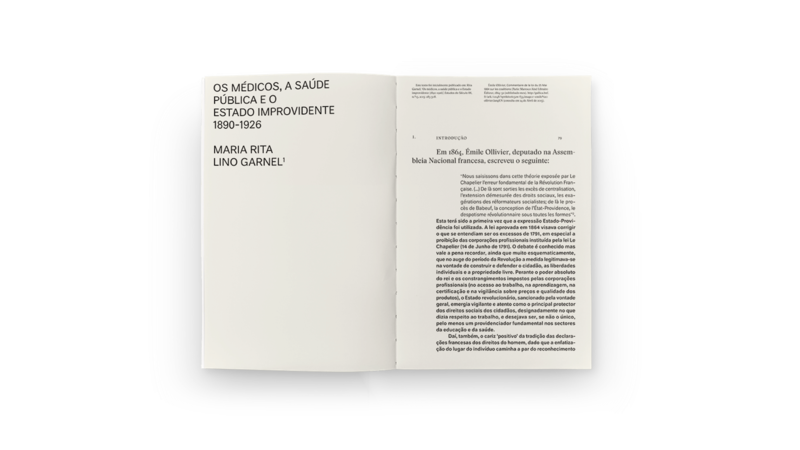 A new communication matrix was needed that could work as an index of the Cultural activity throughout the city of Guimarães. We wanted the new system to be able to communicate an overall feel of each month's cultural programme, instead of isolating highlights of the major events by themselves. To visually translate these ideas, we’ve generated a long blank strip where the information of every event (text and images) would be placed at – sorted vertically by chronological order – and color coded. This strip was the basis for the design of every single material – posters, flyers, outdoors, tarps, etc – for either individual or groups of events. A crop or frame of the original strip would display not only the selected event, but a glimpse of what was happening around the same time period. Horta B set up a beautiful farm in the north of the country aiming to grow Alpine Strawberries and Exotic culinary Herbs through traditional and organic methods. Their main clients are chefs and top tier restaurants (mostly abroad) that will only settle for the best quality. In that sense, we were asked to design the identity, website and packaging in a clean, cool and contemporary language, focusing on transmitting the natural and organic qualities of their products, without looking pretentious. A Oficina is a municipal entity of the city of Guimarães responsible for the management of the several public cultural venues and institutions. It is focused on keeping the city and its inhabitants integrated with a cultural programme ranging from a contemporary and international scene to the local traditions and crafts. It is also responsible for a theatre company (Teatro Oficina) whose plays are frequently exhibited across CCVF and other local venues. Induse is a product design studio highly connected to the use of cutting edge technology in industrially produced products and objects. Its work is mostly focused on designing equipment for urban and public environments, having won several innovation and design awards through their futuristic yet friendly approach to objects and materials, and a serious preoccupation with an ecological and sustainable production. 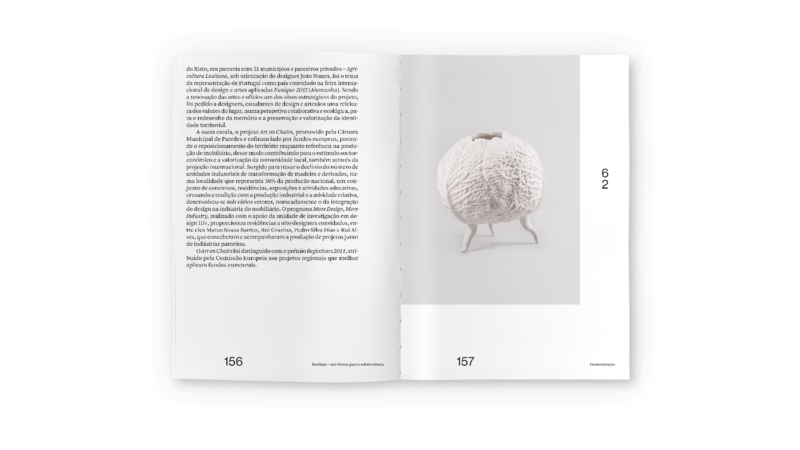 We were commissioned by Guimarães 2012 – European Capital of Culture to design a piece for the opening event, revealing the entire cultural programme happening throughout the year, plus their institutional information. Due to the urgency of this project, and the extremely short amount of time we had to make it happen, we had to find ways to quickly sort and insert the vast quantity of information into the design document. Therefore, we've built a database containing all the programme information, allowing us to fetch it in record time. With the help of a few good friends, we've also designed and programmed a couple of software applications that, when connected to our database, could automatically generate and output a part of the pagination, abstract illustrations (based on real data) and navigation details. Due to structural changes in the direction of the Guimarães 2012 (late September 2011), we've diagnosed some dramatic difficulties that could prevent us from responding to the brief in time. Developed methods to cross the database's information with automated custom pagination softwares and procedures. We've chosen “work in progress” as the core inspirational idea. The book should primarily look like a dossier, and, at the same time, behave like there is more information to it than the one that actually exists. Its main aim would be to provide an overview of the cultural programme, and more importantly, to engage the city and its inhabitants with the list of events set to happen. We've responded to the brief with a 250 page japanese binding style book, divided in 2 main chapters, plus an 80 page section printed in the interior of the pages. The second chapter is livelier, energetic and has a festive tone to it. It lists – both chronologically and in an agenda style – all of the predicted events and projects for the whole year. Each month has 4 or 5 highlighted events, displayed in red typography, alongside the rest of the others. We've tried to accentuate the idea of 'work in progress' and continuity throughout the second part of the book, designing a layout able to somehow demonstrate the very high number of programmed events happening simultaneously. This bulky 2nd chapter is subdivided in 4 periods of time (seasons), each initiated by an introductory text and an infographic illustration, where both the number and shape of its lines provide a visual idea of the amount of events happening in relation to the geographic place of the various venues. Last, we wanted to give the readers a special treat. In order to do so, we've decided to resort to a japanese book binding style, allowing us to print a few interesting texts and poems about the city of Guimarães literally "inside" the pages, that can only be read when you tear the pages open! We've noticed that despite the linear way time would be represented on this second part of the book, that is from January to December 2012, its structure would not be split into equal parts, as a certain month could naturally be represented throughout an higher number of pages than the previous one, depending on the amount of events scheduled for it. We wanted to show this in a precise and interesting manner, so we've added a timeline – a visual map – to the top of the page layout. In this navigation tool, each event that lasts more than one day is represented by a waving line – as if we were talking about frequencies – handling two different variables: time, or the actual duration of each event, and space, or the length occupied by each event on the book's very own structure. All these elements combined create a mesh of lines where one can have an immediate visual perception of the amount of events happening simultaneously in a given period of time, as well as the overall duration of each individual event (by the frequency of the line's wave), and the ones that are ending and/or starting. 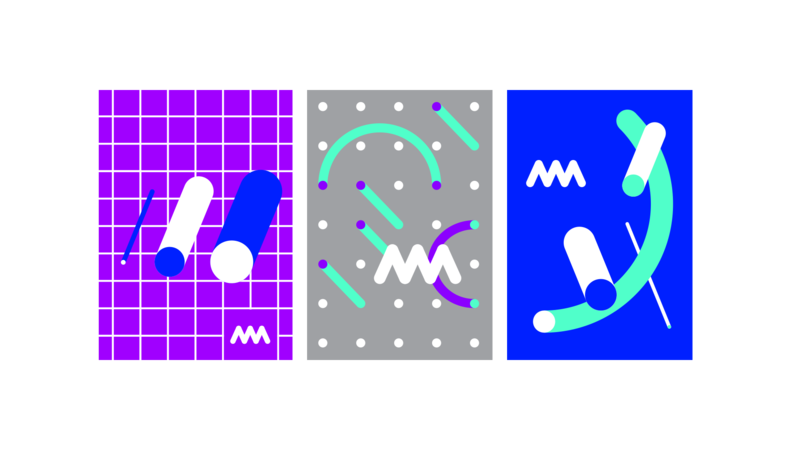 In June of 2014 we were invited, along with two other studios, to conceive a new visual identity for the city of Porto. We were given just 18 days to prepare a proposal, yet despite this, we responded to the opportunity with great enthusiasm and motivation. Firstly, because we’re very passionate about Porto – it’s our hometown and the place where we truly belong. Secondly, because we believe that design is capable of making a much stronger and more intelligent contribution to the city. We believe that visual communication can surpass the sometimes expected aesthetics of branding, and that it has the capacity to help create and to frame dialogue, acting as a mediator between a city and its inhabitants. What we show and explain below is our response to this challenge. 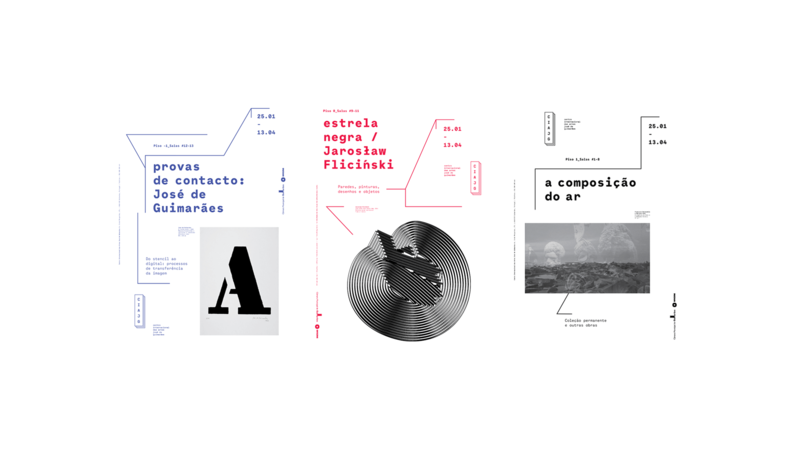 To design a new identity and communication strategy for the city of Porto, Portugal. To communicate a young, energetic and cosmopolitan city – for inhabitants and visitants. To blend the communication of the city hall within the communication of the city. To conceive a system able to communicate both the city hall, as an institution, as well as its six municipal companies responsible for the management of a wide range of services, from water distribution to cultural planning. To present concepts and strategies for renewing the city’s digital communication, web and mobile. Learning more about Porto. Studying its history, including the history of its graphic representation. Understanding the administrative structure of the city hall in order to propose a communication system that facilitates its functioning both for the institution and the inhabitants. 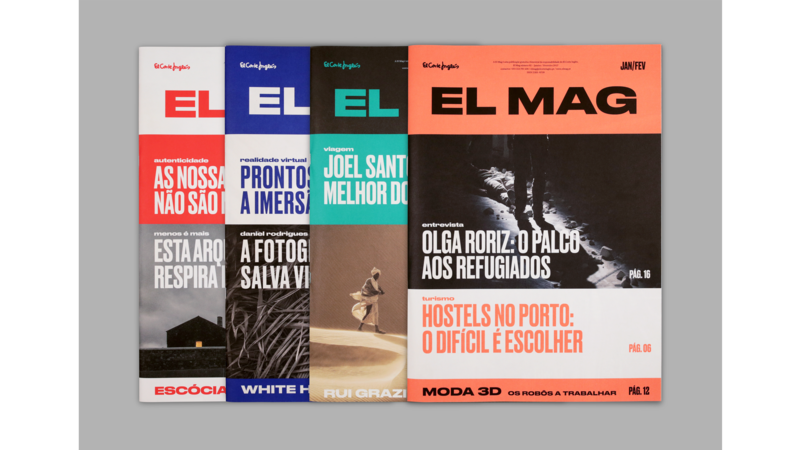 Creating a solution that is bold, intelligent, original and integrated, able to reach a broad audience and communicate with the diverse socio-economic and cultural contexts of Porto. Designing a wide range of materials in order to test the broad effectiveness of the possible solutions — from a logotype to a city branding campaign, from personal stationary to large scale outdoors, from print to digital. Dealing with time constraints — 18 days from the briefing to the presentation. 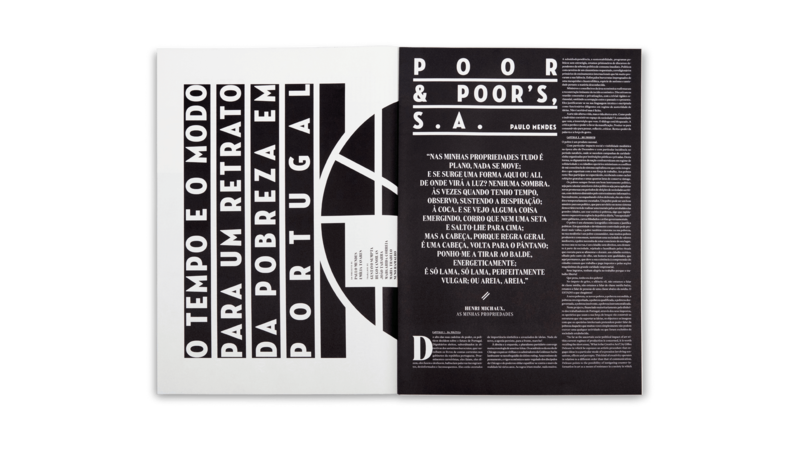 Designing for what you love the most – Porto is our city and our sentiments towards it are not always easy to describe or explain. This is a highly motivating factor – it increases the level of our ambition, raises our expectations and standards, and ultimately the sense of pressure. We love to work collaboratively. It runs in our blood, and has been one of the core premisses of the studio throughout the years. Working on such a big project involves spreading talent and thought through different areas and different problems. This provided the perfect opportunity not only to put us to test, but to work with some creatives and friends we’ve wanted to collaborate with for a long time. Therefore, we assembled a very talented multi-disciplinary team who worked tirelessly on the proposal. We are very grateful for the amount of effort and dedication each of them has put into this project, and are absolutely thrilled by the quality of the outputs we’ve produced together. Having such a big and talented team we encouraged ourselves to simultaneously explore a variety of approaches whilst establishing common visual areas of interest. All ideas were tested visually and discussed and those that showed promise were fine-tuned for further discussion. The city of Porto dates back to the Bronze Age, and has been a key location throughout the history of Portugal. Having been through a lot of different stages and influences since its foundation, its physicality clearly reflects its origins on the banks of the Douro river, cascading all the way up to its high points. The city itself has approximately 200.000 inhabitants, is the capital of its district, forming — with its adjacent municipalities — a single urban area with 2 million inhabitants, the largest in the northwestern part of the peninsula. It is known as the “capital of the north” for its history, its entrepreneurship and work capacity alongside a tradition of underground cultural movements and activism. Porto takes pride in its city, its inhabitants and its tittle of “Undefeated, Highly Noble and Always Loyal”, being a good example of history and modernity, tradition and hipness blended together. Porto’s topographic and hydrographic characteristics have always been decisive in the definition of the city’s personality. Considering the dominance of the river as a territorial reference and the varying and characteristic elevation of the city, we were attracted to the idea of exploring the connections between different elevation points in the city in relation to the location of the river. In parallel, we needed a conceptual trigger in our search for visual forms and shapes that could serve as the basis for the identity. Creating these forms through an expressing of the city’s physicality seemed an interesting possibility.  The idea was to generate a series of visual folds formed by an imagined intersection of two or more points related to elavation. It is a location driven idea, enabling the creation of an endless array of shapes depending on the geographic position of an individual, building or institution. Despite our high interest in this concept and the powerful graphics we were generating, we felt the connection between the visual language it was producing and its conceptual source of origin could be difficult to comprehend without the unique insight we had as authors. Porto is a city full of history, a value in which its citizens take great pride. Its architecture is a significant part of its legacy, with buildings ranging from Romanesque to Manuelin, Baroque to Art Deco, Medieval to contemporary. A lot of these historical buildings display the city’s coat of arms on their façades, as a way of exhibiting nobility. The city’s coat of arms, in its current form, displays the Portuguese as well as Porto’s original arms. We were particularly attracted to the way both sets of symbols are symmetrically repeated, and considered that it could be interesting to explore this concept of symmetric repetition and heraldic graphic hierarchy using contemporary versions of the city’s iconic landmarks. Basically, we speculated about what a contemporary heraldic system could look like if designed today. Again the graphic results were interesting. But we feared it could project an erroneous view of the city, not simply because Porto is known as a Republican bastion but also because the coat of arms as a visual form carries too much historical and cultural weight. When designing multi-faceted identities, an almost inevitable conceptual cliché is the exploration of pictograms as a form of representation. There is a graphic simplicity and apparent conceptual order to this approach that appeals to the graphic mind. It was not our preferred starting point but neither was it a route that we felt we could dismiss out of hand. And so we experimented. Drawing inspiration from the many iconic buildings, architectural details, and cultural and historic references of the city we rapidly constructed a diverse array of stylized pictograms. Many were pleasing as simple graphic forms. But we soon realized however that we had inadvertently been drawn into a graphic Disneyland, where the complexity, variety and dynamic discourse of our city had been reduced to a homogenised, stylized and almost infantile banality. We discovered that an attempt to impose a graphic order resorting to the use of pictograms had in fact robbed our desired identity of any ambiguity – and the loss of ambiguity is inevitably accompanied by the loss of interpretation. Furthermore, we felt that the fixing of meaning that such a literal and conceptually reductionist system constructs would become tiresome, unable to reflect the richness of representation and reflection we desired. Watch the HD version on Vimeo. Deep into our development of the concept it became clear to us that our exploration extended beyond the specific goal of creating an identity for Porto. It inevitably involved asking in what ways is was possible for visual communication to reflect and represent a city – any city. We had embarked on a journey – a journey that implied more than choosing what vehicle to use – but thinking about the very nature of transportation. That questioning led us to a philosophy – how we understand identity. In turn the philosophy suggested a methodology – how we have chosen to assemble the visual components for an identity by creating a graphic vocabulary. Finally, the strategy – how we propose to use that vocabulary. Those three elements: philosophy, methodology and strategy, form the basis of our approach. Our idea of a visual vocabulary consists of a rich and diverse graphic lexicon that can be expanded and used in a diverse number of ways. It deliberately embodies a degree of abstractness. It forms the basis of the identity, and addresses all the constituent parts of the city. We divided its usage into two different voices that the city uses to speak with its citizens. 2 For how the city speaks about itself, from the inside and from the outside. Even though both types of communication resort to the same visual vocabulary, whenever the City Hall communicates, its graphic mark displays an organized layout framed by a shield protecting the city core. On the other hand, whenever the City of Porto communicates, its identity no longer displays the shield, and can resort to a dynamic and multicolor composition system. We have also developed an application that is able to automatically choose which graphics of the alphabet to use or overlap and color scheme depending on the category and season of the year. 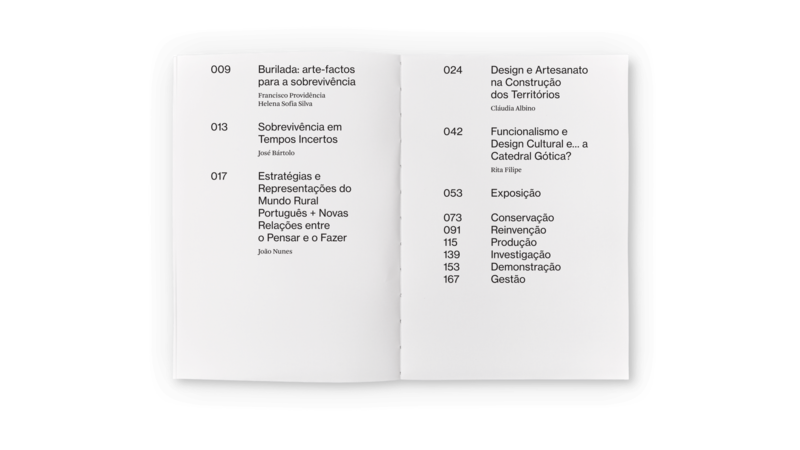 We have designed a box set containing some elements of the new identity, where the City Hall and the City of Porto blend in a single object: a book with the graphic vocabulary; a set of letterpress printed postards; and a set of personal cards. Finding information on the city hall’s current website structure is a complex and sometimes unrewarding task. There is a given set of bureaucratic rules that condition the structuring of information that ultimately generates confusion for users. This organisation format is key for the new web navigation and codification, leading to a solution where a search bar becomes the core component of the page – as if the city hall had its own private google – supported by a hidden option of traditional menu navigation. In this way, we managed to eliminate most of the superfluous information, enabling users to encounter the content they desire. The same concept and navigation premises were used for mobile devices, with an obvious design adaptation for smaller screen sizes. of work. It is a visual concept that proposes a new way of organizing the communication of the city and city hall, one that we believe is suited to Porto’s personality, history, and most importantly, its future. 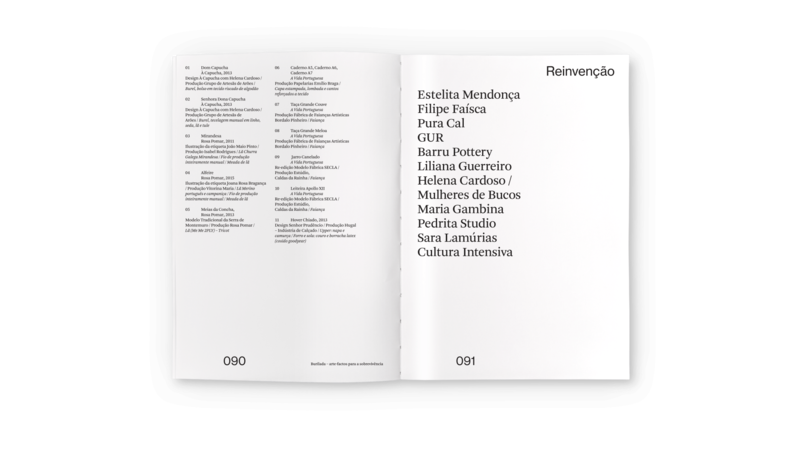 Book collection for a project titled “Raízes” (roots) – a series of anthropological, ethnic and sociological studies debating the issues of poverty derived from the precarious conditions lived by the working class in the surrounding areas of Guimarães. The result were five different – yet related – softcover books. Each book is able to live independently, but becomes more appealing when connected to the rest of the collection. 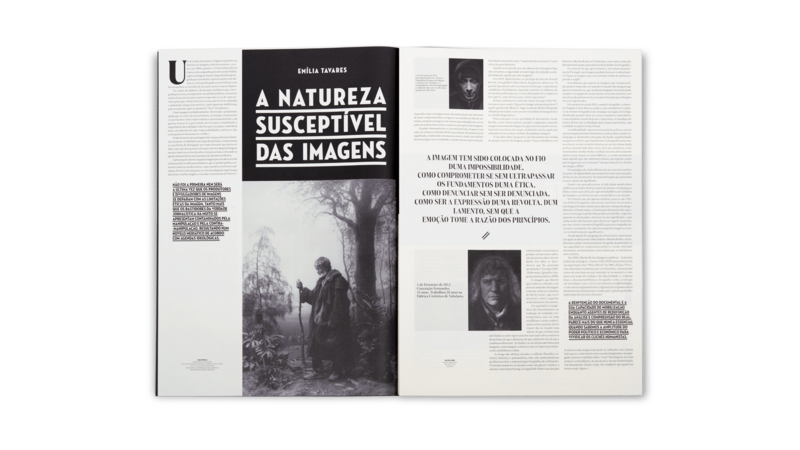 The proposed briefing for this project was to design a photo-biography of Alberto Sampaio, a well known 19th Century Portuguese historian. The available images were mostly from written records, such as letters exchanged with renown personalities from the same period, the photographic material was very limited in quantity, and the written information difficult to layout, being mainly based on little transcriptions, thus impossible to handle as a continuous text thread. A visual essay made from the documental photographs of the most relevant activities that took place during Guimarães 2012 European Capital of Culture. The project “Editoria, design, craft, and industry” proposes to relate the tangible and intangible heritage of Vale do Ave - a region particularly characterized by a pluralistic triangle between industry, agriculture and housing activities - with the contemporary cultural scene. Such synergies are generated by the gathering of the involvement of artisans, designers and the industry, putting them at the service of the production of objects with an high formal quality and aesthetic. Guimarães 2012 European Capital of Culture programme newspaper for January and February. The design is based on a custom code, designed to be recognised by mobile and web applications and provide links to extra information regarding the events and venues. Teatro Oficina is a theatre company focused on the promotion of national contemporary theatre. 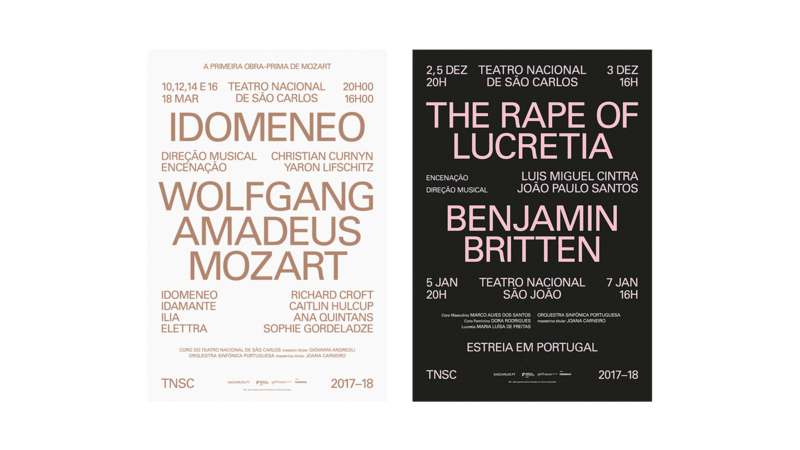 We've developed a series of street posters promoting theatre plays hosted by Teatro Oficina and have also designed the graphic identity of the institution. 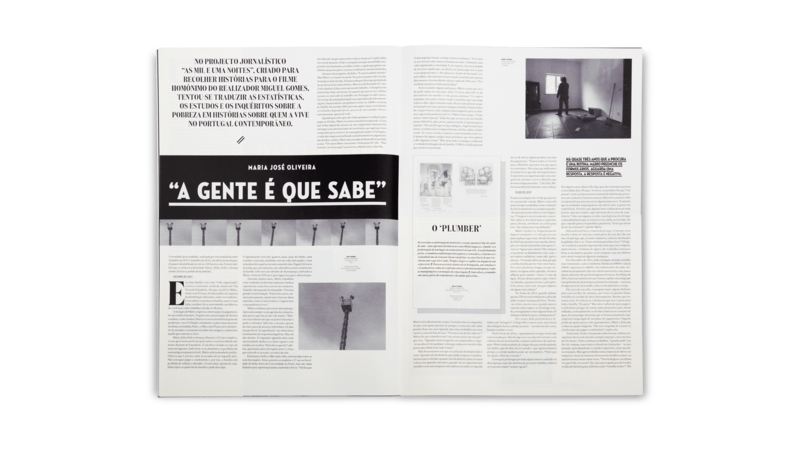 Newspaper design for the 2011 edition of Guidance, a contemporary dance festival that takes place every year at the city of Guimarães. 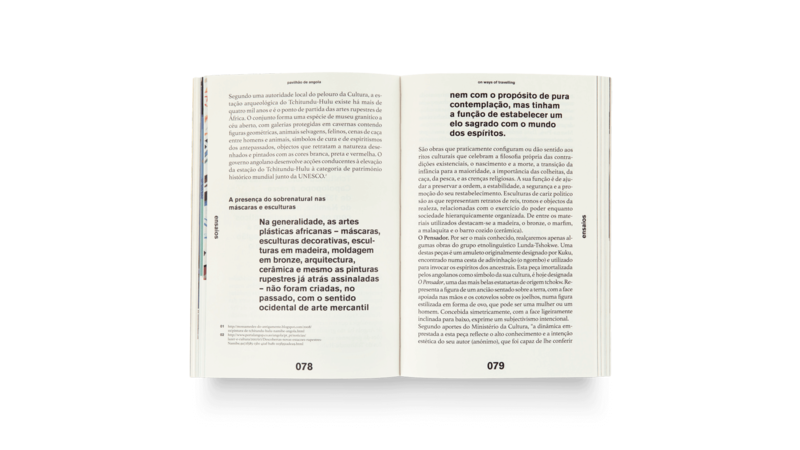 Journal design for the 2011 edition of Guimarães Jazz, to top all the communication materials we've also designed for the festival. Journal design for Festivais Gil Vicente, an annual contemporary theatre festival organised by CCVF at the city of Guimarães. T-shirt illustration project commissioned by Nike USA/Fédération Française de Football. 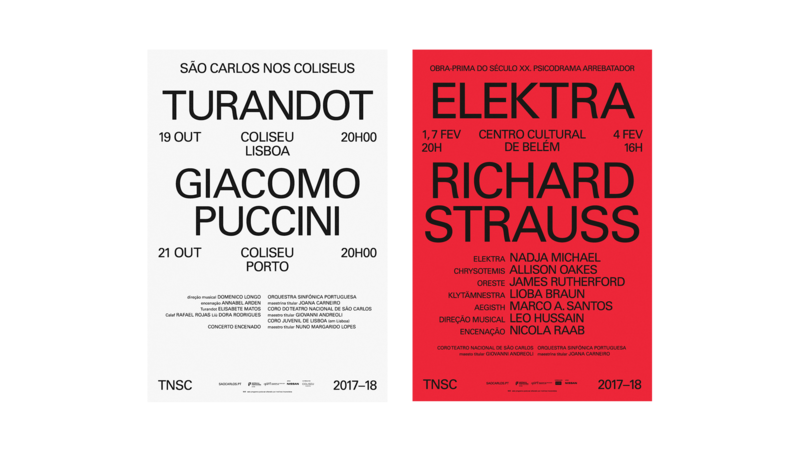 Series of posters designed together with the very talented Marcelo Oliveira and José Cardoso for the space renovation of Café Concerto, in order to host experimental concerts. Each month had a unique poster design, limited to 20 hand printed silkscreen copies. Journal design for the communication of the 2010 edition of Guimarães Jazz festival, to be distributed during the concerts. 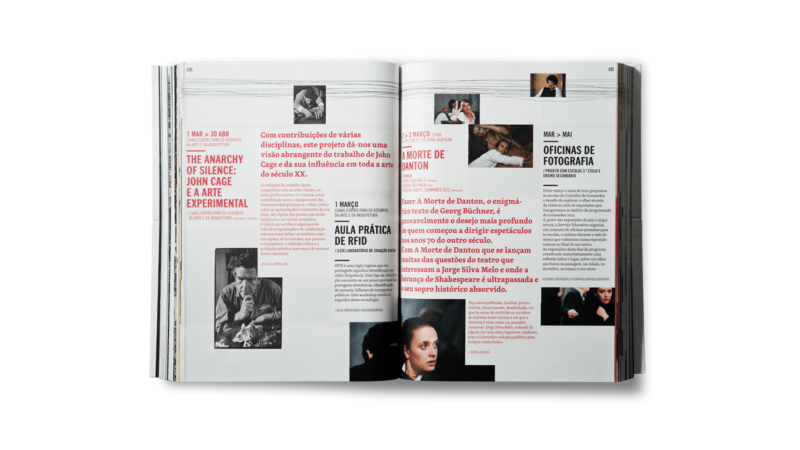 Journal design for Festivais Gil Vicente, Contemporary theatre festival. An editorial pieced focused on the fundamentals of space division and information organisation, drawing inspiration from old architectural plans, where the Mecanorma patterns where used to indicate different materials and divisions. Aesthetically we chose delicacy over strength. Visual system design for CCVF (from 2010 to 2012). The design's extremely balanced nature made it work flawlessly and support multiple interpretations and variations throughout the years. Both an instant and a long lasting success. Guimarães Jazz is an annual festival hosted by Centro Cultural Vila Flor, Guimarães — the most renown of its kind in Portugal. For the 2009 edition, we aimed to create a series of images that could make the viewer feel the music just by looking at the posters. We wanted people to connect to the way Jazz musicians and performers blend themselves with their instruments and get the vibe that flows out of that fusion. Using hand drawn illustrations and lettering added character to it and helped bringing out the groove, ambiance and expression. Even a simple glimpse should trigger saxophones and double basses playing in the back of your mind. EXD'09 challenged our studio to design a poster in confrontation with one of the posters of Ernesto de Sousa collection on Portuguese colonial war. The poster tries to translate the abandonment of former colonies after the Portuguese revolution. The symbol of the April revolution becomes a harpsichord that merged with the map of Africa. 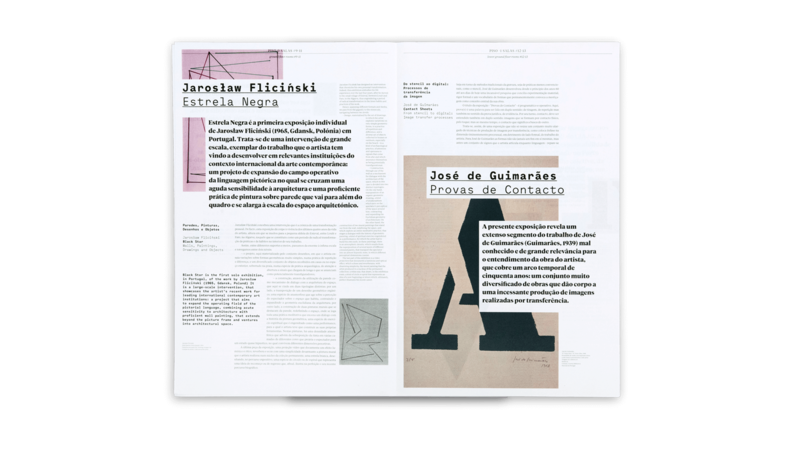 Lura is a quarterly journal created to communicate Centro Cultural Vila Flor's educational service's programme. Institutional modular website for the CCVF Centro Cultural Vila Flor. It was created with the intention that the raw information would produce the final look of the platform. Journal design for Guimarães Jazz festival in 2008. A harsher approach in contrast with the very friendly set of posters we've designed for the same edition of the festival. 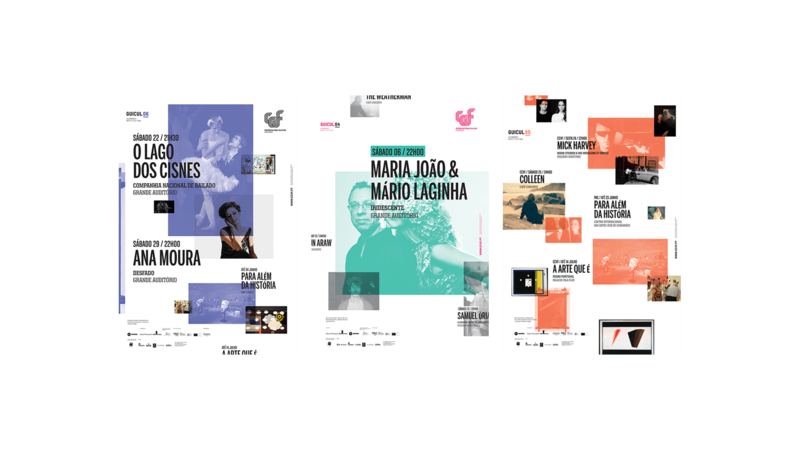 Series of 120 x 170 cm street posters designed to promote the 2008 edition of Guimarães Jazz. We've referenced our graphic approach on the look and feel of the cheap old jazz posters and flyers, mixing them with a slight comtemporary touch. Catalogue design for the Verbal Photography exhibition, that took place in 2004 at the Serralves Museum of Contemporary Art, one of the most important art institutions in the country. 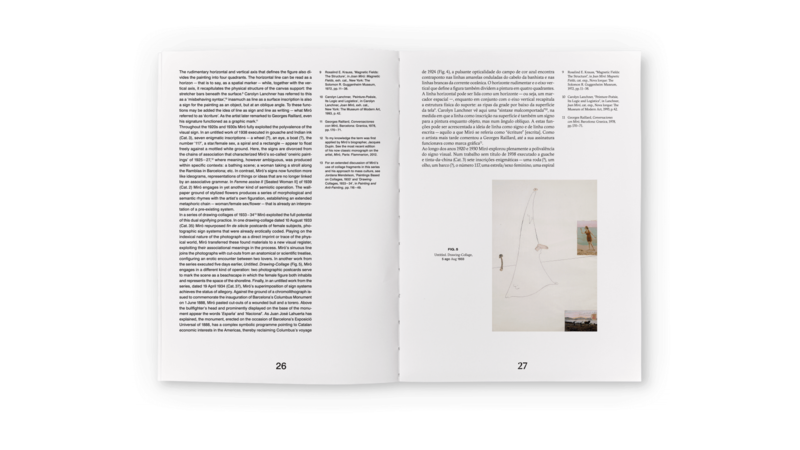 Sample spreads of the 356 page book for the exhibited work of Ilya Kabakov and Boris Mikhailov. 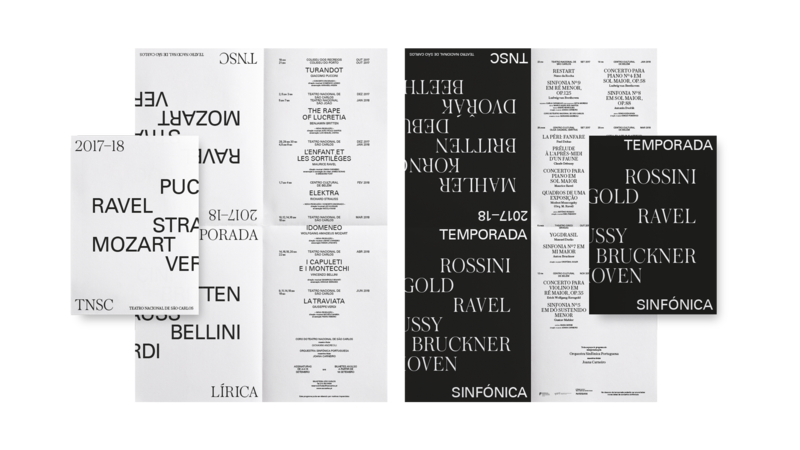 Non–verbal club is a design studio based in Porto focused on providing custom design solutions and communication consultancy to clients looking for work that goes beyond their expectations. Please visit our website on a bigger screen so you can browse through a wider selection of our portfolio and view our projects in detail.